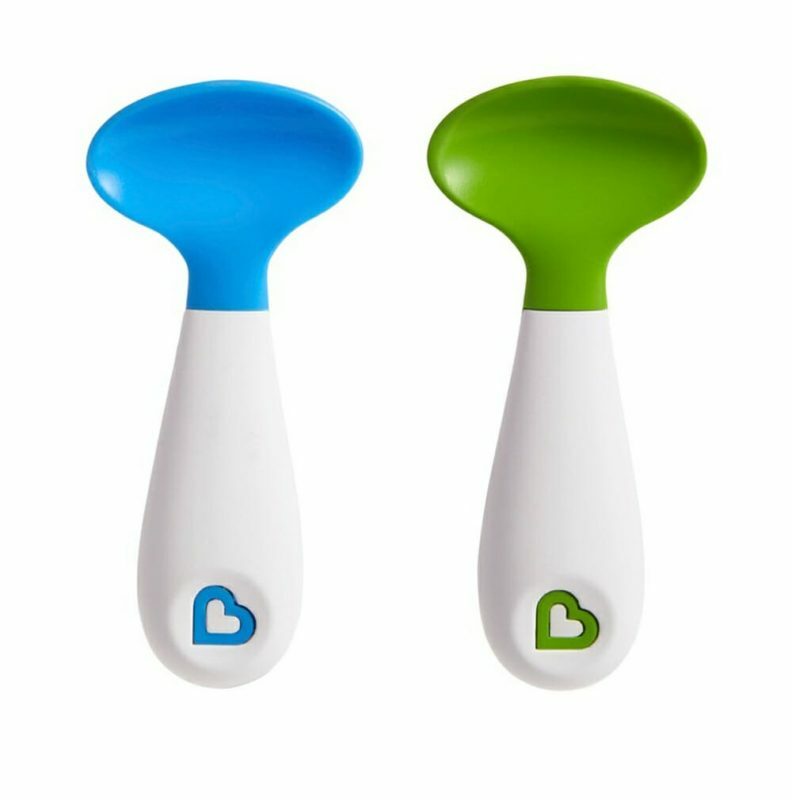 Baby Feeding Scooper Spoon Munchin is designed for baby’s natural instinct to self-feed by grabbing the handle and eating in a sideways motion. Gentle, soft plastic works for both right and left handed feedings while baby is developing their preference. Baby Feeding Scooper Spoons works with baby’s natural instinct for self-feeding. Eat left or right handed as baby is developing their preference. Soft plastic is gentle on baby’s face and gums. Extra large spoon bowl scoops more food. Top rack dishwasher safe and BPA-free.